Can anybody be the Messiah? Can a woman be the Messiah? If anything, what can anybody do to help the Messiah fulfill the messianic mission? What is it that has delayed the establishment of God’s Kingdom? There are many questions that we can ask with regard to God’s will, its fulfillment, and the fulfillment of the mission of the Messiah. The answers to these questions can be found inside the book Messiahs: Individuals. This chapter deals with the meaning and implication of the term messiah. It identifies the difference between messiah and Messiah, and Messiah and prophet. It puts readers in the mix of the discussion. Reading and understanding the content of this chapter will inspire readers to explore their own messiahship. This chapter allows readers to understand how evil and sin started. It also elaborates on the origin of Satan. Reading and understanding the content of this chapter will help readers make sense of their innate connections with evil, sin, and Satan and how to sever such a connections. This chapter introduces a new understanding of salvation. It also reveals secrets pertaining to how to effectively receive and sustain salvation. Reading and understanding the content of this chapter will help readers make sense of how to best receive salvation through the Savior of humanity. This chapter expounds on the mission of Jesus as the Messiah and the Savior of humanity. It raises and answers several questions. Among them: What type of power does the Messiah have? What type of salvation can we receive from Jesus? Etc. Reading and understanding the content of this chapter will help readers to deeply connect to the foundation established by Jesus and unequivocally reap its benefits. This chapter introduces new grounds with regard to the mission of the Messiah—parenthood and family that each messiah and the Messiah are supposed to build. Reading and understanding the content of this chapter will help readers grasp the secret to building and entering the Kingdom of Heaven. This chapter explores the components needed in order to fulfill God’s will. Reading and understanding the content of this chapter will help readers value life, their loved ones, the Messiah, God, His word, and His will. This chapter elaborates on the stages and different positions as well as responsibilities the Messiah assumes in the fulfillment of the messianic mission. Reading and understanding the content of this chapter will give readers a sense of which roles or what type of heart to develop in the fulfillment of their responsibilities with regard to the fulfillment of God’s will. This chapter elaborates on the Returning Lord. It raises and answers questions such as: will the Returning Lord be flesh and blood or a ghost? 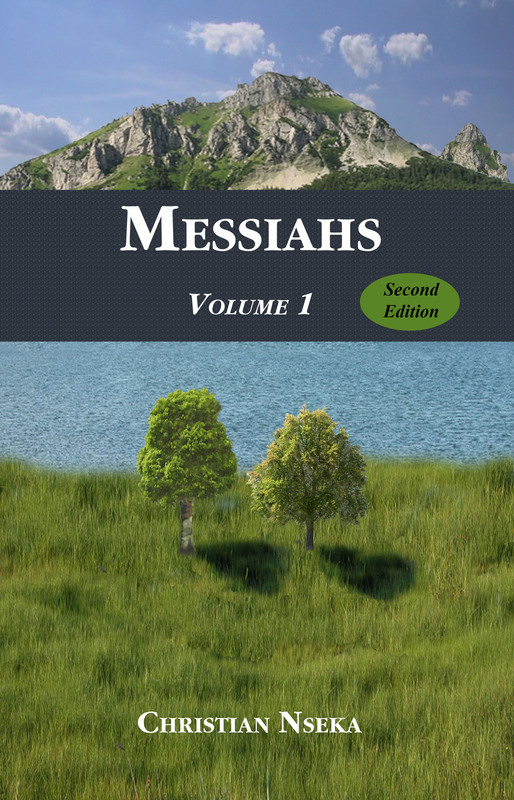 Reading and understanding the content of this chapter will help readers make sense of the value of the Messiah and how God has worked throughout history in order to bring about the salvation of humanity. This last chapter concludes the study of the topic of the Messiah by putting readers at the center of the discussion. Reading and understanding the content of this chapter will help readers answer whether or not they are messiahs. But one needs to first understand the difference between a messiah and the Messiah in order to properly answer such a question. And this understanding is found in Chapter One of this book. This book includes endnotes that are used to support or further clarify a point, a concept, or an argument found in the text. Besides the Endnotes pages, it also includes Acknowledgments, Works Cited, Index, and About the Author pages.